Can I Get A 40-Year Mortgage? Why Can’t I Get A 40-Year Mortgage? Question: Before 2007 we used to get 40-year mortgages. We loved them because the monthly payments were cheap but now such financing seems unavailable. Will 40-year mortgages ever come back? Answer: Good news. 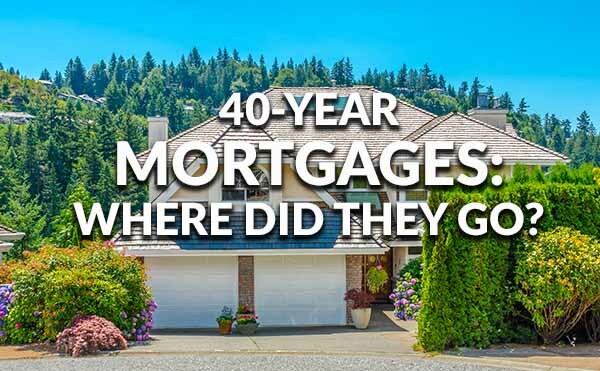 Forty-year mortgages never went away, but they may be hard to find. Let me explain. Longer loan terms are a simple and easy way to reduce monthly payment costs. Imagine that you borrow $175,000 and that you can get fixed-rate loans for 30 and 40 years, both at 4.25 percent. With the 30-year mortgage, the monthly payment for principal and interest is $860.89. With a 40-year loan, the monthly cost falls to $758.84, a savings of $102 per month or $1,225 per year. That lower monthly payment makes it easier to qualify for a loan or to qualify for a larger mortgage than might otherwise be possible. Monthly savings, however, are not the whole story. When it comes to mortgages, longer loan terms usually means a higher potential expense. Our 30-year mortgage has a lifetime interest cost of $134,920 versus a 40-year mortgage with a lifetime interest cost of $189,243. The different potential costs between 30-year and 40-year financing are no doubt behind the effort to purge long-term mortgages from the options available to borrowers. Under Dodd-Frank, lenders can offer two type of mortgages, “qualified mortgages” (QMs) and “non-qualified mortgages” (non-QMs). Qualified mortgages include FHA, VA and conforming loans as well as “portfolio loans” that meet certain standards, mortgages which lenders keep and do not re-sell. Lenders like QMs because they’re safe. If you’re a lender and properly originate a qualified mortgage, Dodd-Frank protects you against lawsuits from borrowers, insurers and investors. That’s a big deal for lenders, and as a result about 97 percent of all loans today are qualified mortgages. How does this impact super-long lending? One basic QM standard is that loan terms cannot exceed 30 years. When it comes to QMs, 40-year mortgages are forbidden. While 40-year mortgages can’t be qualified the same way as 30-year mortgages, there is still a spot for them in the market. The Dodd-Frank rules also allow lenders to make “non-qualified mortgages” or non-QMs. 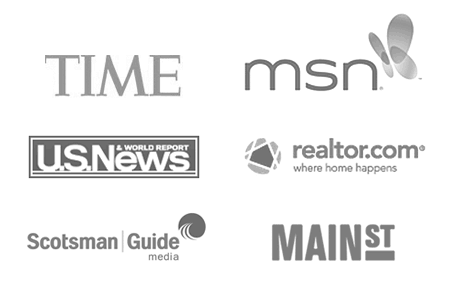 These are mortgages without the limitations associated with qualified mortgages. A jumbo mortgage — say a $1 million loan for a single-family home in San Francisco — is an example of non-QM financing. Check your mortgage eligibility here. What about that huge difference in lifetime interest costs? Doesn’t such an expense make 40-year financing a lousy loan choice? There’s no doubt that $189,243 is a much bigger number than $134,920 in our example. However, the odds of actually paying the larger amount are pretty much zero. According to the National Association of Realtors, the typical home is owned for 10 years. Freddie Mac says that in the third quarter of 2016 the typical loan was refinanced after 4.5 years. Going back to 1994, the longest median period of loan ownership before refinancing was 7.3 years. In other words, borrowers with 40-year financing are unlikely to hold such loans for their full term. What 40-year mortgages really do is shift costs. Borrowers pay less per month, but when the loan is refinanced or the home is sold, the remaining debt will be larger than with a 30-year mortgage. After 10 years, the borrower in our example with the 40-year loan owes $154,253. The borrower with the 30-year mortgage will have a remaining debt of just $139,026. The borrower with the longer note owes an additional $15,227. Divided by 120 months, that’s an additional average cost of $126.89 per month. Our simple comparison with 30- and 40-year financing does not reflect an important real-world reality. In practice, we would expect that the longer loan would have a somewhat higher interest rate because longer mortgage terms mean more risk to lenders. The higher rate, of course, will impact monthly costs as well as the amount due when the loan is paid off. You’ll need to do some searching to find 40-year loans in today’s marketplace, but if you’re looking for lower monthly payments a fixed-rate 40-year mortgage can be an attractive option.